Pope Francis appointed Scicluna to investigate accusations that Chilean Bishop Juan Barros covered up sexual crimes against minors. 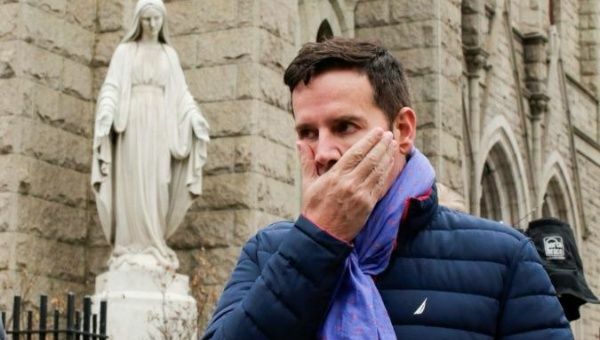 On Saturday, the main witness in a case involving a Chilean Catholic bishop – who is accused of covering up sexual misconducts – recounted the abuses he experienced to an investigator assigned by the church. Juan Carlos Cruz met with Vatican inquisitor Maltese Archbishop Charles Scicluna for several four hours on the Upper East Side in New York. “It’s been a good experience and I leave here very hopeful today,” he told reporters after the meeting. “I feel that I was heard ... it was very intense and very detailed and very, sometimes, eye-opening for them. Hopefully, it will lead to good things,” Cruz said. Pope Francis appointed Scicluna to investigate accusations that Bishop Juan Barros, of the diocese of Osorno in Chile, covered up sexual crimes against minors. “He was hearing my testimony, and I was telling him about the abuse, about the cover-up [and] the way survivors, not just me, are treated ... the personal toll it takes on someone. He was crying ... it wasn’t an act ... I felt that he was concerned and that he was listening,” Cruz added. Cruz was reportedly sexually abused by Rev. Fernando Karadima – who was found guilty of the crimes in a 2011 Vatican investigation – as a teenager. Karadima denied the allegations and he escaped criminal prosecution because, under Chilean law, the statute of limitation had run out. Cruz said Barros, who was mentored by Karadima, had knowledge of the abuse he faced. Barros denied the claim and stated that he was unaware of any wrongdoing on Karadima's part. Cruz is one of several Chilean men who went public in 2010with accusations against Karadima. Scicluna is expected to travel to Chile, on Tuesday, to continue his investigation. "Thousands of cases in the world need the same attention that this one has received," he said during the press conference. "It's not enough to say you are sorry. There should be a policy that every survivor in the world should be heard. Everyone should receive the treatment I received today." He later apologized to victims, saying his choice of words and tone had “wounded many.” Pope Francis has appointed nine new members of the Pontifical Commission for the Protection of Minors Saturday, according to the Associated Press. Abuse survivor Marie Collins questioned and criticized the Vatican's motive in making the decision to drop several founding members from the commission. 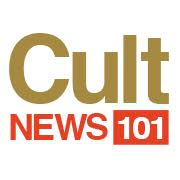 "I'm shocked at the discarding of some of the most active and independent members of the commission," Collins told the National Catholic Reporter. "Four of the laywomen have gone and they were really the most active and had the most experience of working in child protection and working directly with survivors."